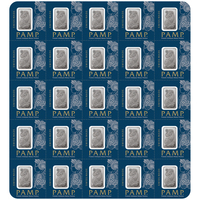 The one ounce (oz), or 31.10 grams (g), Lady Fortuna platinum ingot from PAMP Suisse is one of the best selling ingots on the market since years. Lady Fortuna remains the best-selling and most popular investment product in the world. Issued by PAMP Suisse, the Lady Fortuna ingot cannot be confused with another product. This is the first design to appear on a precious metal bar (also available in gold, silver, and palladium). 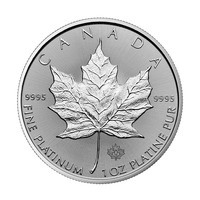 This platinum bullion remains a key financial vehicle for investors, collectors, and admirers of platinum. Lady Fortuna, the Roman goddess of prosperity, luck, and fortune, is displayed on the front of the bullion. She is represented veiled with her mythical elements: a wheel of fortune, and a cornucopia, which spreads the richness of her extended hands. On the back of the ingot, we have important information displayed such as the unique serial number, platinum ingot weight, and purity. Please handle your purchase carefully. We recommend using gloves when handling to avoid getting dirty or fingerprints. We also recommend that you store your investment in a presentation case or an attractive showcase. 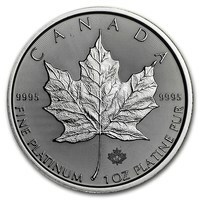 This will give the platinum ingot a unique style as well as additional protection. PAMP Suisse is the world's largest independent precious metals manufacturer and refiner, offering and commercializing the most prestigious bullion on the market. 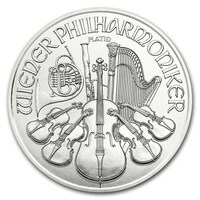 PAMP Suisse was also the first company to present a good range of models to their ingots. The first design, Lady Fortuna, remains the most rated on the market. This 1-oz Fortuna platinum ingot, manufactured by PAMP Suisse, is graciously decorated with Lady Fortuna - the Roman goddess of luck and prosperity. The daughter of Jupiter is represented veiled with her personal attributes: the cornucopia and the wheel of fortune. It is the symbol of prosperity and wealth. This popular design is a timeless classic.